Yes! All teachers hold a child development certificate and MUST complete state mandated training that is required by Florida law for early childhood teachers. 2. How long has TLC been open? TLC Kids Care was established since 1999 and originated with 8 children in the main church, The Living Cornerstone. 3. Who are we licensed with? TLC Kids Care is licensed with the Association of Christian Schools. Better known as A.C.S.I. , located in Dunedin Florida and main headquarters in Colorado. 4. Staff to teacher ratio? TLC Kids Care complies with DCF (state guidelines) ratios. Although, we do try to be below ratio with every class, by having more teachers available. 5. What curriculum does your school use? TLC Kids Care uses the A Beka curriculum. This is an outstanding curriculum that emphasizes the very best phonetic and mathematical awareness for young pre-schooler's today. 6. Will my child be prepared for kindergarten? Absolutely! 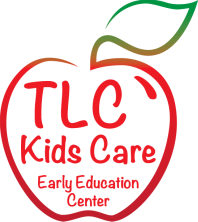 TLC Kids Care has a wonderful rating with our local schools with Kindergarten readiness, reading, writing, and mathematical entry scores. Over 90% of our pre-K and kindergarten graduates every year get placed into a gifted or advanced class when entering into public school. Parent involvement is encouraged with the classroom teacher. Although, for the overall safety of our children, we do not allow parents to stay and volunteer during the day. 8. When is tuition due? Tuition is due every Monday. Parents have the opportunity to pay weekly, bi-weekly, half the school year (5% discount), or yearly (10% discount). 9. Does our school offer any extra curricular activities? Yes! Monday - Gymnastics, Tuesday - Cheer, Wednesday - Church, Thursday - Dance, and Friday - Sports. Other than church, all extra curricular activities are payable directly to the coaches and due the first of every month. 10. How can I register? TLC Kids Care does have a year waiting list. In order to reserve your child's spot, you must fill out an application and return it with the $85.00 dollar required deposit. This will confirm your child's placement with TLC Kids Care.